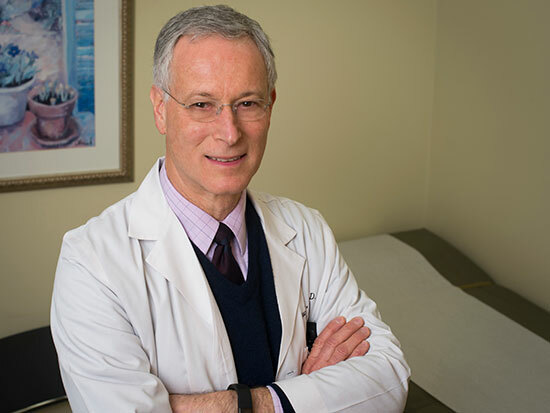 Bruce Korf, M.D., Ph.D.The University of Alabama at Birmingham is joining a growing network charged with implementing the National Institutes of Health’s All of Us Research Program, an ambitious effort to advance research into precision medicine. Combined, the new awardees will receive $13.8 million to enroll interested individuals, gather participant health information and help retain participants in the program through ongoing engagement efforts. The All of Us Research Program is a bold effort to gather data over time from more than 1 million people living in the United States, with the ultimate goal of accelerating research and improving health. Researchers will use data from the program for studies on a variety of health conditions to learn more about the impact of individual differences in lifestyle, environment and biological makeup. All of Us participants play an integral role in how improving health and treating disease will be improved in the future. These awardees will extend the geographic coverage of the program and strengthen its reach within underserved communities, including lower-income, Hispanic and Latino, African American, American Indian and rural communities. UAB, in partnership with HudsonAlpha Institute for Biotechnology and Children’s of Alabama, has already launched the Alabama Genomic Health Initiative, which is a statewide effort funded by the Alabama legislature. AGHI is actively recruiting Alabamians, with a goal of enrolling 10,000 persons over five years. Although both AGHI and All of Us share a broad goal of learning about how biological data such as genomic information correlates with health status and risk of disease, they differ significantly in terms of the kinds of information and samples that will be obtained, and also in the scope of the analyses that will be performed. Individuals in Alabama will be able to enroll separately in either AGHI or All of Us, or both if they wish. Southern All of Us Network: University of Alabama at Birmingham (UAB); Cooper Green Mercy Hospital, Birmingham, Alabama; Huntsville Hospital, Alabama; Louisiana State University Health Sciences Center, New Orleans; Tulane Medical Center, New Orleans; Tuskegee University, Alabama; UAB Hospital, Birmingham, Alabama; UAB School of Medicine’s Montgomery Internal Medicine and Selma Family Medicine programs, Birmingham, Alabama; University of Mississippi Medical Center, Jackson; University of South Alabama Health System, Mobile; and University Medical Center, Tuscaloosa, Alabama. SouthEast Enrollment Center: University of Miami Miller School of Medicine, Florida; Emory University, Atlanta; Morehouse School of Medicine, Atlanta; and the OneFlorida Clinical Research Consortium led by the University of Florida in Gainesville. All of Us, Wisconsin: Marshfield Clinic Research Institute; BloodCenter of Wisconsin, Milwaukee; Medical College of Wisconsin, Milwaukee; and the University of Wisconsin-Madison. The All of Us Research Program plans to continue building the network of health care provider organizations over time to engage a large participant community that reflects the geographic, ethnic, racial and socioeconomic diversity of the country. The network will include regional medical centers, community health centers and medical centers operated by the U.S. Department of Veterans Affairs. The program is in beta testing. Learn more and sign up for updates.